Amber House Books is proud to represent the foreign rights of its authors, as well as the rights of several other U.S. bestsellers, many of whom have appeared on the New York Times, USA Today, and Publishers Weekly bestseller lists. We're delighted to work directly with foreign publishers and agents to find the best publisher and the broadest audience for our books and authors. We've already found homes for our bestselling books in Japan, Spain, Italy, Portugal, Brazil, China, Vietnam, Romania and Turkey. Foreign agents and publishers are welcome to contact us at publisher@amberhousebooks.com for more info on the availability of specific titles. Below you'll find a comprehensive list of the titles (and authors) currently available, along with genre and sub-genre info since we realize certain genres are more popular in certain countries. You can click on each title for more info. Thank you for helping us spread the universal language of wonderful books around the world! 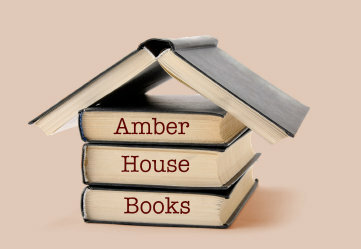 Sign Up for Amber House Books Newsletter Today!